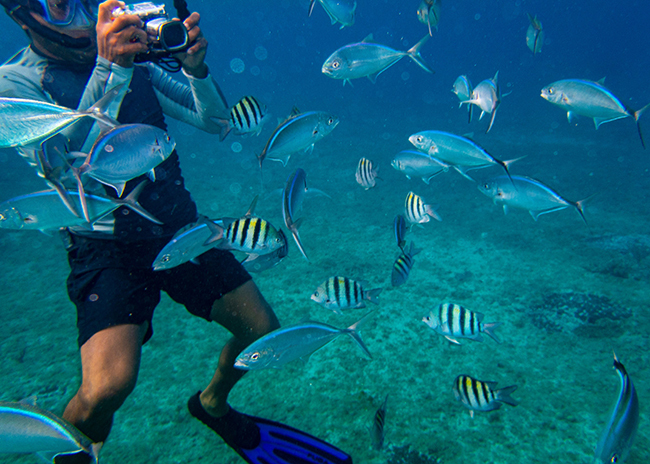 At PlayaSnorkelingTours.com, we want you to have an unforgettable time on our Playa del Carmen Snorkeling. That's our one and only goal. Being passionate travelers ourselves, we understand that when you are selecting excursion and tour providers for your trip, you are looking for reliable and trusted businesses. This is the reason why, for the past 17 years, we have been proudly providing the best quality tours in Playa del Carmen. It all started when a group of two professional tour guides teamed up to form this tour company with a clear goal for the future: to provide the most personalized tours in Playa del Carmen by remaining a small company. Our little team still eats lunch together every day! During the many years we have been in business, we have had the privilege of serving several thousand (and that's no exaggeration!) clients. At the same time, we have been employing only locals, thus supporting the community by offering a dozen jobs at any given time during all these years. We have been able to satisfy the most demanding clients, such as cruisers from top-notch cruise lines and guests at fine hotels, by providing the most personal service in Playa del Carmen. Every day, we strive to provide our clients with the best tour in Playa del Carmen by offering the most personal service at the most affordable price possible.